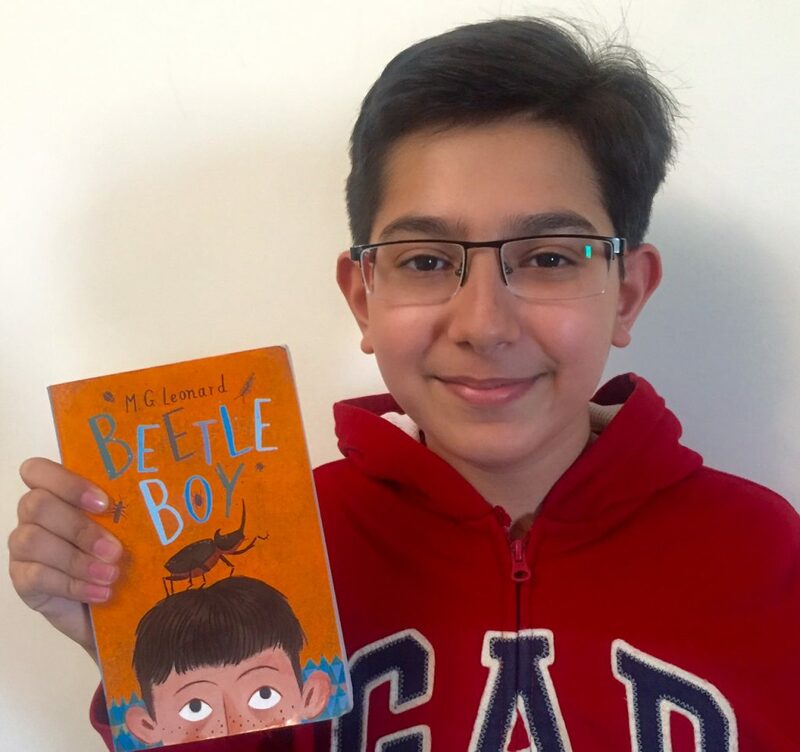 Beetle Boy – Emirates Airline Festival of Literature. Beetle Boy reminds us of a crucial factor to the uniting of the world – that everyone deserves to be treated equally. Despite merely being insects, these creatures deserve to be saved, no matter how different they are. I thoroughly enjoyed reading this truly captivating, ingenious book! Beetle Boy by M. G. Leonard, is an eccentric, gripping and delightful novel, that makes it easy to sympathize with Darkus, who’s on an adventure to uncover a mystery with his best friends – Bertolt and Virginia, and… a stag pet beetle named Baxter! Although Beetle Boy is a ‘children’s book,’ it will surely engage all ages due to its enigmatic plot, mesmerizing characters and peculiar backstories. Despite early qualms about how appealing this book might be, particularly because of the main storyline involving insects, which many consider revolting, I immediately changed my mind once I started reading. Not only is Beetle Boy a brilliant adventure story, packed with intrigue and action, about three young children setting out on a journey to solve a mystery, it also reveals to us the other side of insects. Behind the guise of ‘different insects’ we are introduced to what insects truly are, something which we have been mostly unaware of all this while. Not only does the book give off positive vibes with considerably important personality features such as team work, it also instills strong emotion and goes to show, how with just a little bit of writing, one can drastically change a person’s view when it comes to a particular matter.